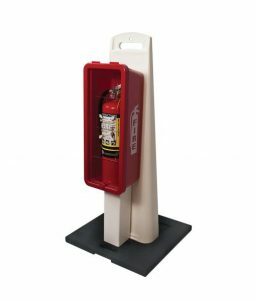 Purchase a Brooks fire extinguisher cabinet made by Logistics Supply that protects extinguishers and other safety components from harsh environments and that is designed for superior functionality during an emergency. 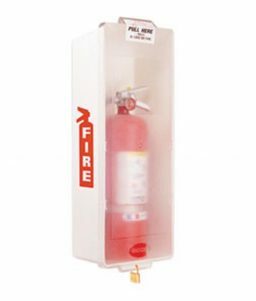 SKU: LS-FT101BR Category: Fire Extinguisher Cabinets Brands: Brooks. 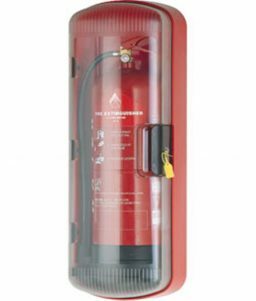 This fire extinguisher cabinet from Logistics Supply is made with a polycarbonate body that can endure everything from harsh elements to rough use in an industrial environment. 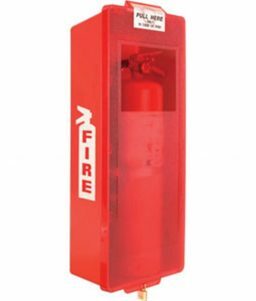 The cabinet has a sleek design and is made with superior durability that allows it to be tough enough to protect fire extinguishers or other light safety equipment from harsh work environments. This fire extinguisher cabinet has a clear door to facilitate unobstructed inspection of the encased fire extinguisher. The cabinet’s polycarbonate body gives it muscle to resist the elements and rough use. The cabinet has a door seat that is designed to protect the contents from potential long-term weather and climate issues. The cabinet also features a quick-release catch that makes it easy to open during an emergency. 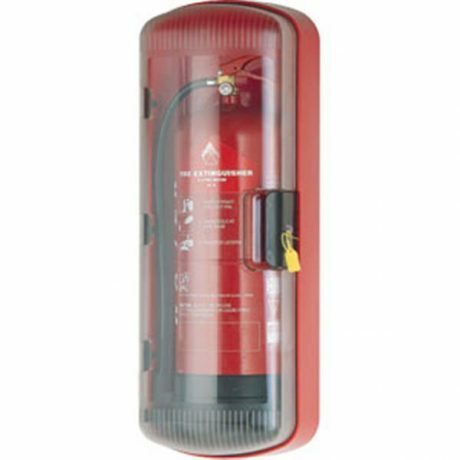 This fire extinguisher cabinet has the following dimensions: 30″H x 11″W x 8 1/4″D. 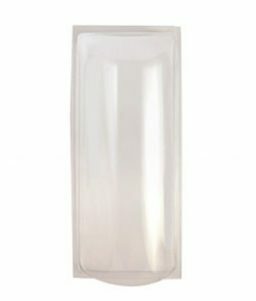 Small Polycarbonate Bubble Cover for JL Metal Fire Extinguisher Cabinet Red Indoor/Outdoor Fire Extinguisher Cabinet - Mark I Jr.